Asked where I can dine while in Belgrade, all my Serbian friends say The Square Restaurant. 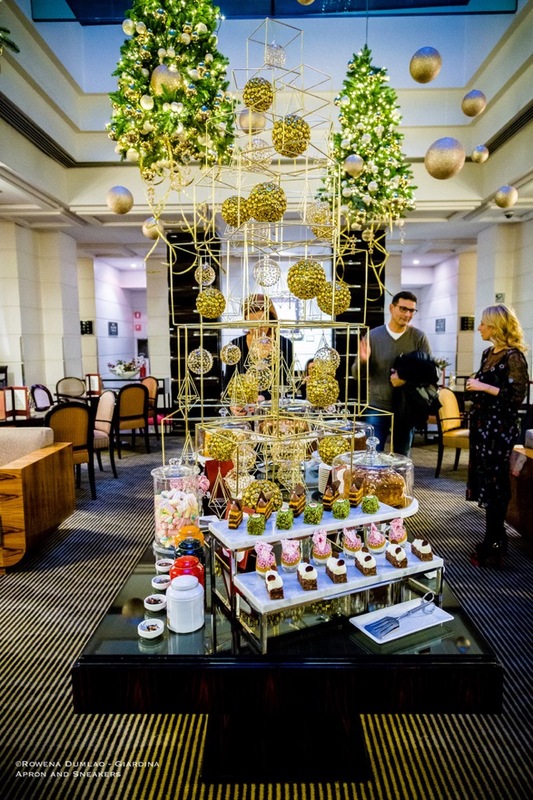 I got the impression that it's not to be missed while in the city and when I finally walked through the the doors and the lobby of the hotel where it is located, I understood why. 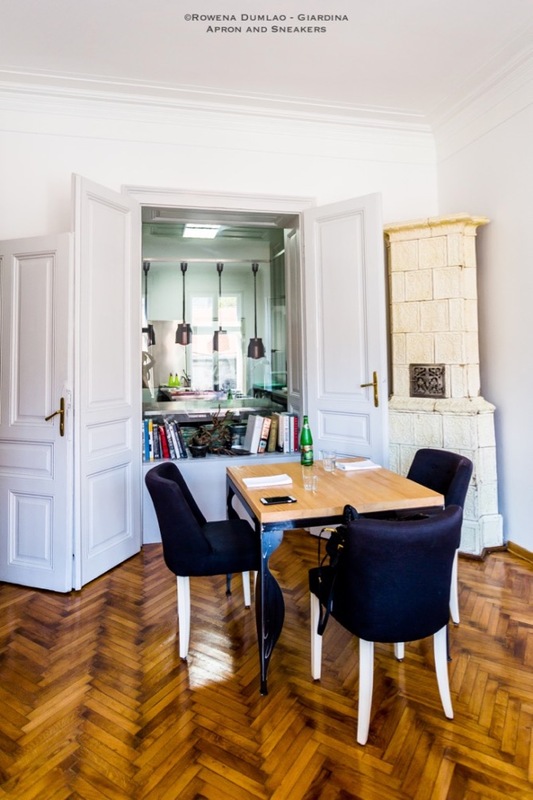 The Square is the restaurant of five-star hotel Square Nine Hotel in the heart of Stari Grad (Old Town) at Studentski trg (Students' Square). A modern external structure with a tasteful interior design of moderate warm hues of stone, dark wood, leather and mid-century furnishings from the finest North American and Scandinavian designers which evoke a place of coziness in an elegant atmosphere. 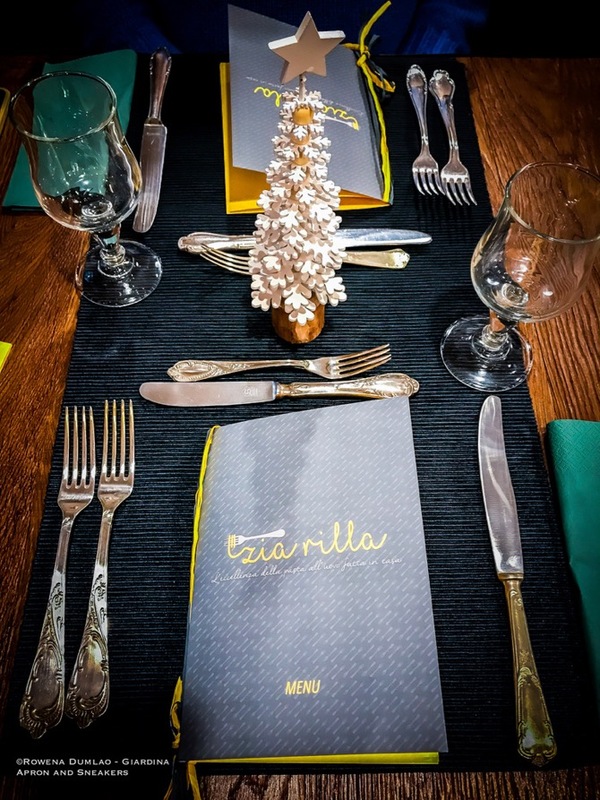 It's a place where fine things reside including what their restaurant offers. 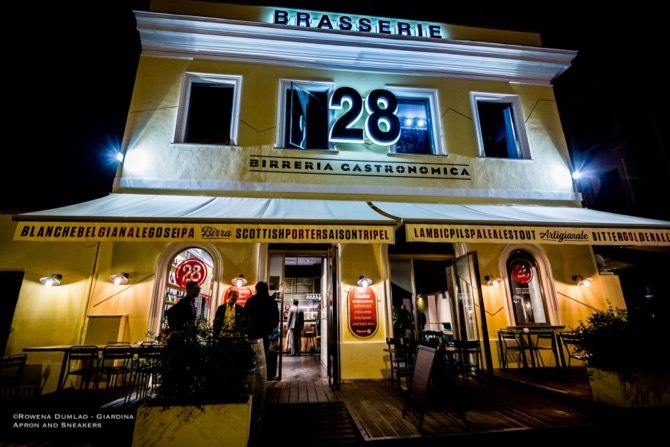 It's not everyday that I encounter Serbian restaurants and on a recent trip to Serbia for a wine event, not only was I looking forward to discovering their wines but also the food. As soon as my plane landed in Belgrade, I was immediately off to one of the capital's finest restaurants, Iris New Balkan Cuisine. 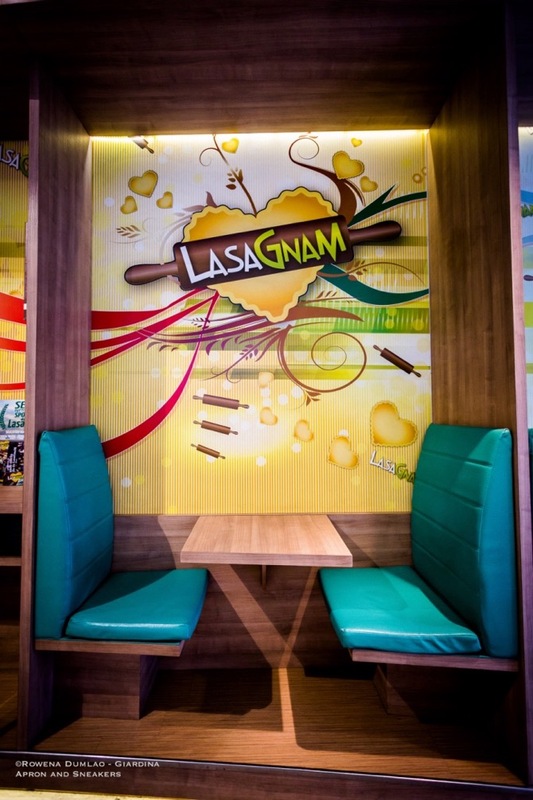 It represents the traditional flavors of the cuisine that's modified to the modern concept of food culture. Two cultures, two renowned chefs and two cuisines in one kitchen. Korea and Italy meet together in the hands of Sohyi Kim, a South Korean chef and a former judge of the cooking show MasterChef Korea and Cristina Bowerman, a Michelin-starred Italian chef and President of the Associazione Ambasciatori del Gusto (Association of Ambassadors of Taste). 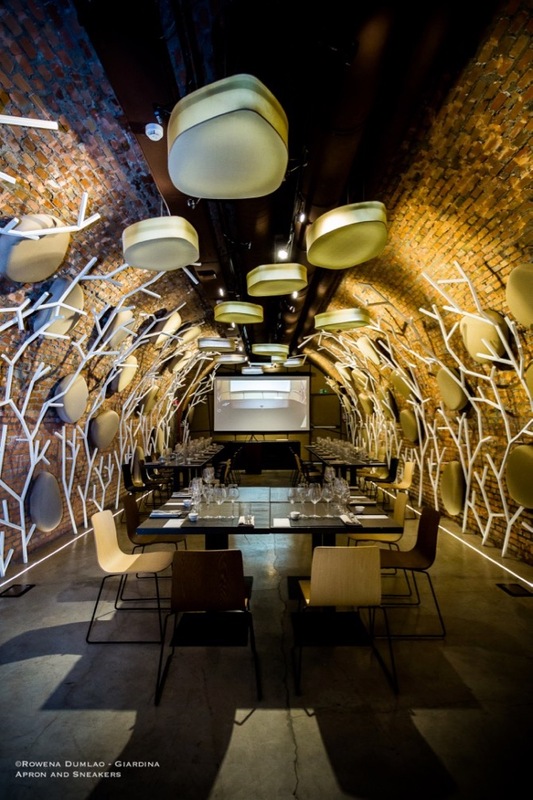 A press dinner was held at Cristina Bowerman's restaurant in Rome, Romeo Chef & Baker last 24 October 2017 to celebrate the upcoming Pyeongchang 2018 Winter Olympics as part of the week-long program Korea Week promoted by the Istituto Culturale Coreano (Korean Cultural Institute), in collaboration with the Embassy of the Republic of Korea in Italy. A marriage of two important beer producers in one house. We all love stories of unions as opposed to separations of course because it signifies constructive steps to growth, augmentation of varied possibilities, and simply because it is positive in all ways. 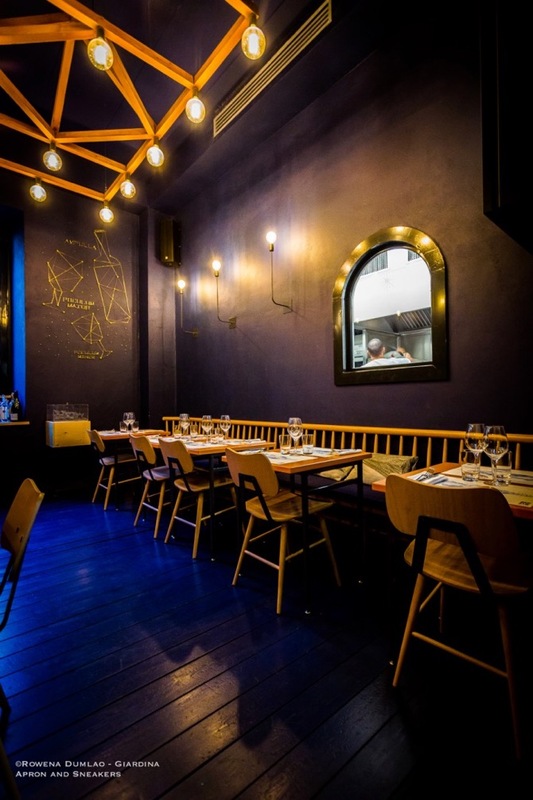 Caulier, a Belgian beer producer and Toccolmatto, an Italian craft beer producer paved one road to their union in one gastronomic place in Rome, the reformatted 28 Birreria Gastronomica in Via Flaminia 525. When years pass and the succeeding generations go on, things shift to a wider horizon. 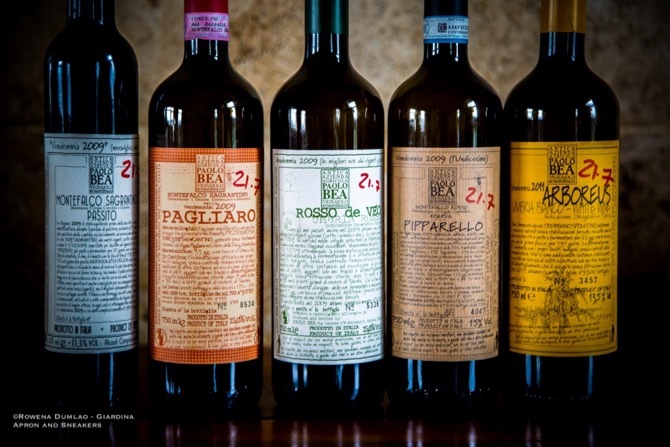 From 1929, the wine and oil shop of Emidio Bulzoni has seen years of success. From Emidio to his son Sergio and now to the third generation of the family, grandsons Alessandro and Riccardo Bulzoni, the original Vini e Oli at No. 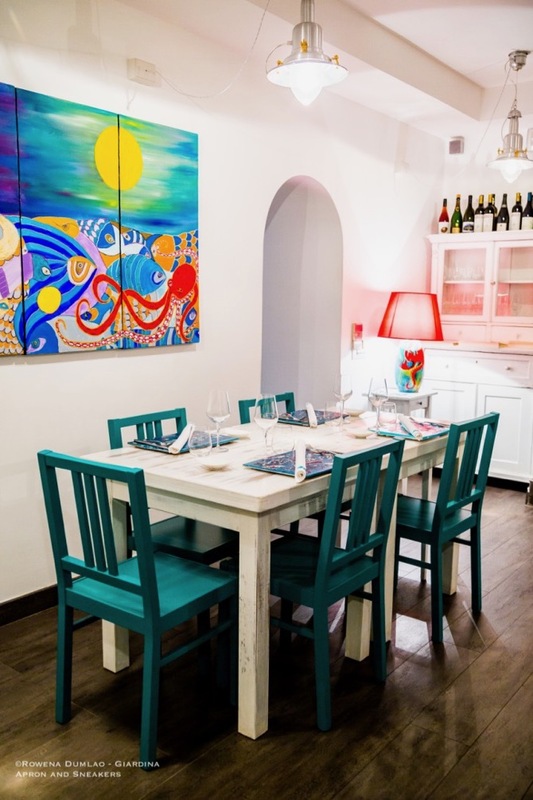 36 Viale dei Parioli has gone through a reformatting of the concept of the wine and oil shop. 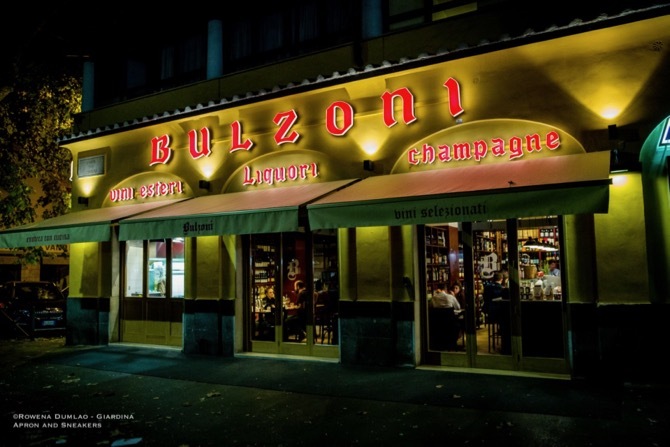 Just a few weeks ago, Bulzoni opened its doors again with a kitchen and a bar where guests can have a 360 degree experience in choosing, buying and enjoying their choice with food to accompany them. 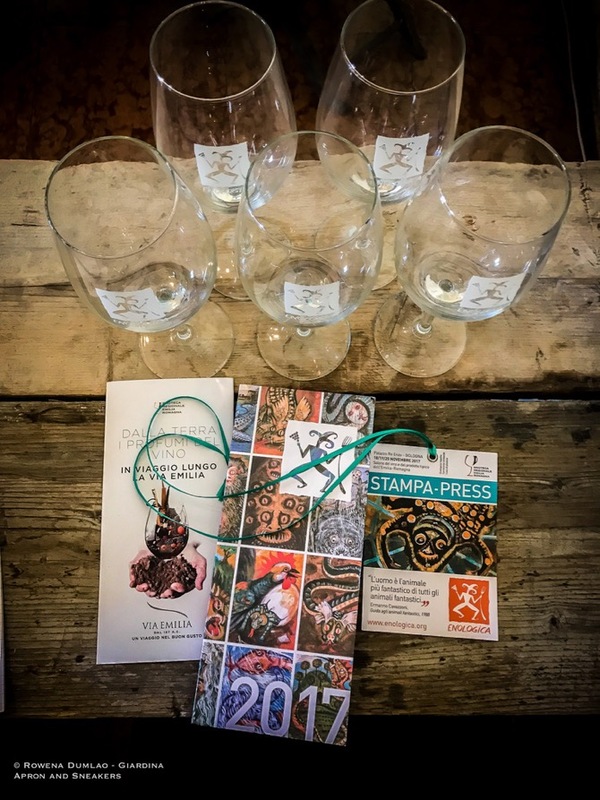 Entering the world of wine is not just about opening the bottle and drinking it. There's a lot more to having that beautiful liquid that emanates vast variations of aromas and flavors. There is an intangible aspect that helps us understand the soul of the wine. It's that part when you get to know the winemaker and his story. Truthfully, it's the facet that I love most in my wines, a simple conversation of shared emotions, thoughts and goals from a winemaker to a wine drinker. In every bottle, there is a past, present and future. One morning, I got to know the person behind the winning bottles of Vino d'Artista Maurizio Pio Rocchi Petra rdg 2015 and 2016 in two consecutive years at I Migliori Vini Italiani of Luca Maroni. One warm and sunny September morning on the Tuscan hilltop of Cagnano, a table with a platter of local Tuscan cheese, a bowl of walnuts, freshly-sliced bread, a bottle of extra virgin olive oil, and a bottle of Poggio Cagnano Altaripa Maremma Toscana DOC 2014 was waiting for us. There was a marvelous view of the Maremma countryside from where I was seated. 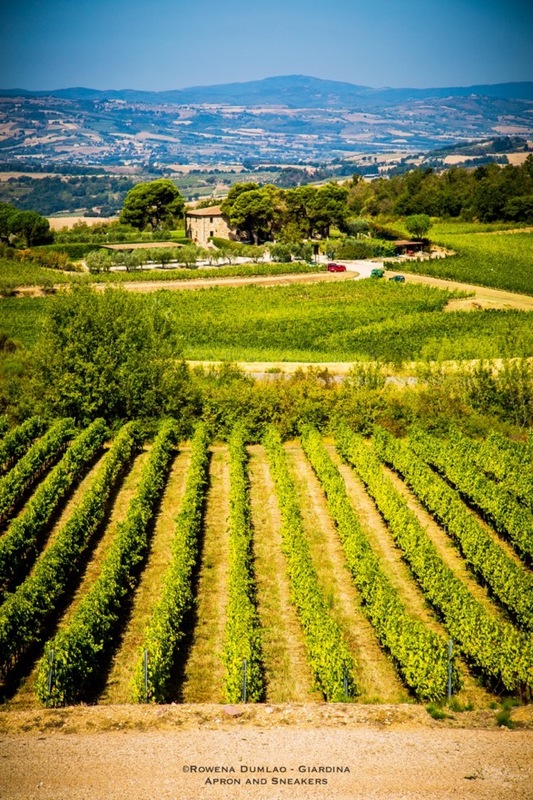 The gentle sloping hills with olive orchards, perfectly-aligned tall cypress trees, and patches of vineyards fill up the spectacular Tuscan landscape in front of me. It was like stepping inside a glossy photo of showcasing the life in Tuscany. That morning, I couldn't ask for anything better than being on that chair. 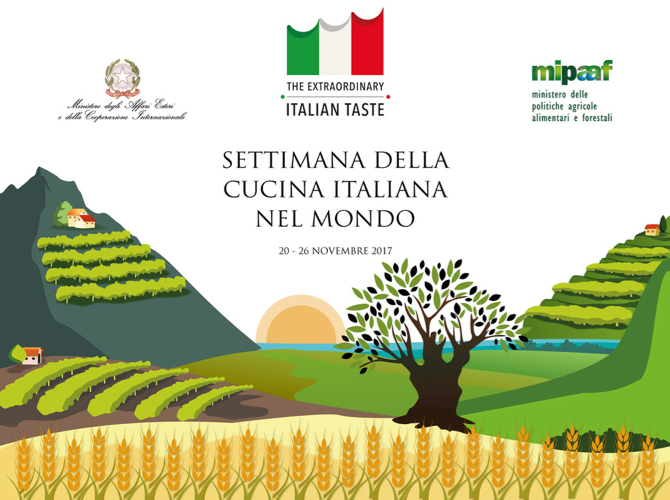 The Week of Italian Cuisine in the World (Settimana della Cucina Italiana nel Mondo)has come to its second edition after a big success last year. 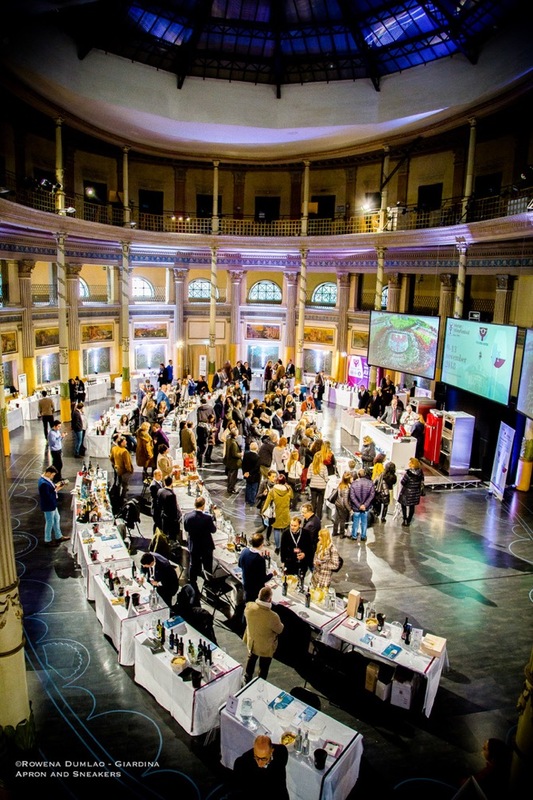 The theme of this year's edition, which will take place from 20 to 26 November, is the binomial "Cuisine and Quality Wine". 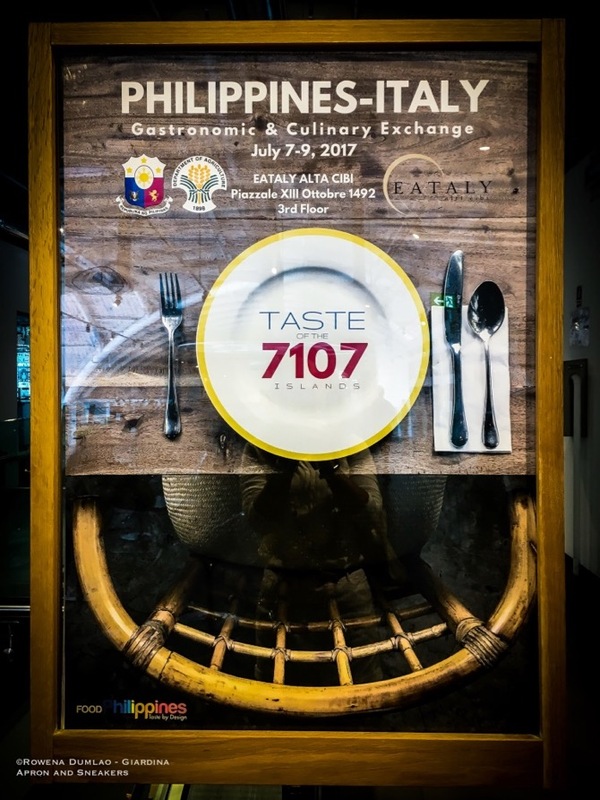 More than one thousand events are taking place which are coordinated by the 296 diplomatic-consular offices and Italian cultural institutes in more than one hundred countries which is aimed at promoting internationally the enogastronomic traditions as distinctive signs of Italian identity and culture. It focuses on quality, sustainability, culture, food security, education, identity, territory and biodiversity. Pardi is a name that you will encounter often as you walk around the town of Montefalco. You see, the Pardi family specializes in two areas: weaving and wine making. 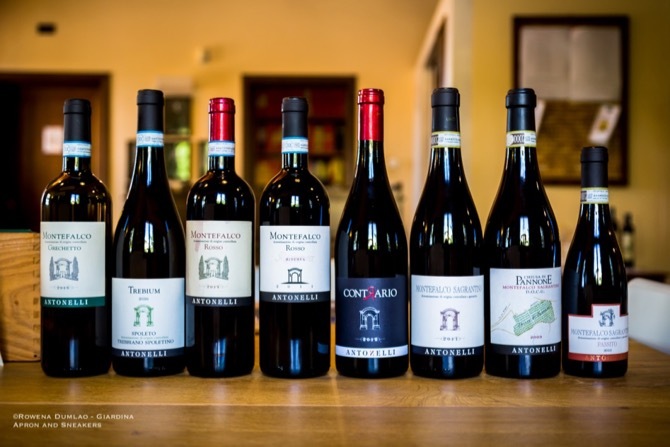 The family, with deep roots in Montefalco started with wine making in 1919 when the three Pardi brothers, Alfredo, Francesco and Alberto, established the Cantina Fratelli Pardi. 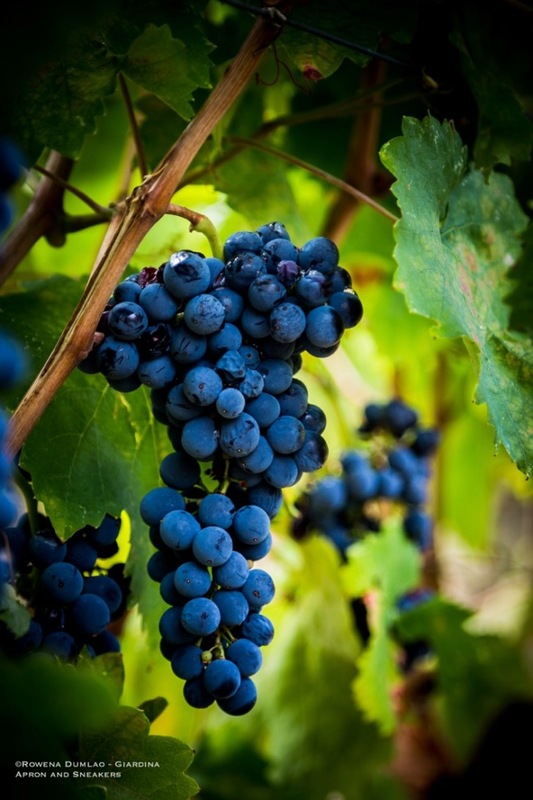 During those times, the grape production partly belonged to the family while most were procured from local landowners to produce their red and white wine, including the Sagrantino which was made only as Passito in Montefalco. The wines were sold all over the region of Umbria and outside the region to some other important buyers like the Vatican. 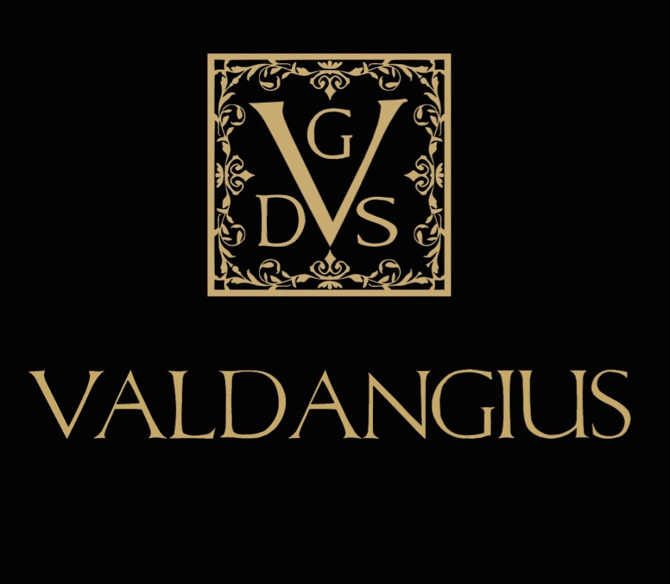 Valdangius is a distinctive name for a winery. 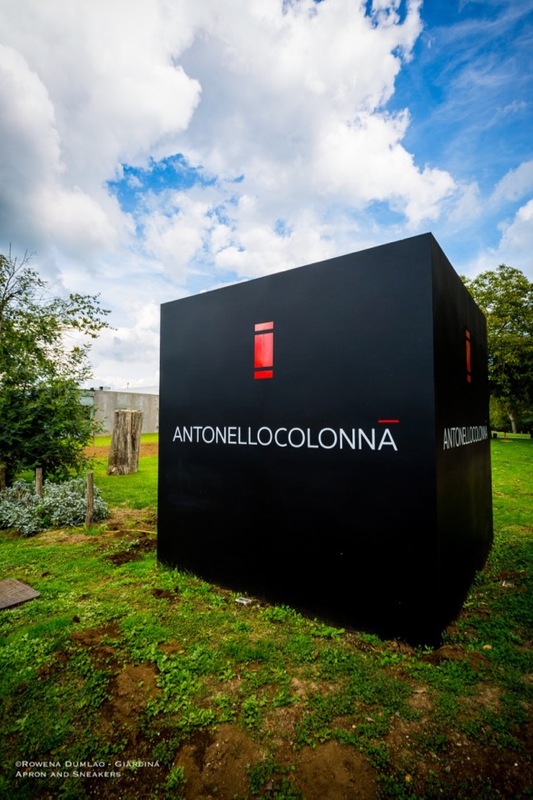 In fact, one of the first things I asked Danilo Antonelli when I first met him in his winery was what it meant. Valdangius, he explained, is an acronym of the word valle or valley in English (val-) his name (-dan-), his father Giuseppe (-giu-), and his sister Sandra (-s). Valdangius comes out as a new word that makes it hard to remember at first, more like a tongue-twister but as it stays in your mind, it turns into something that's very hard to forget. Then when you get to know their wines, the name sets its rightful place in your memory. 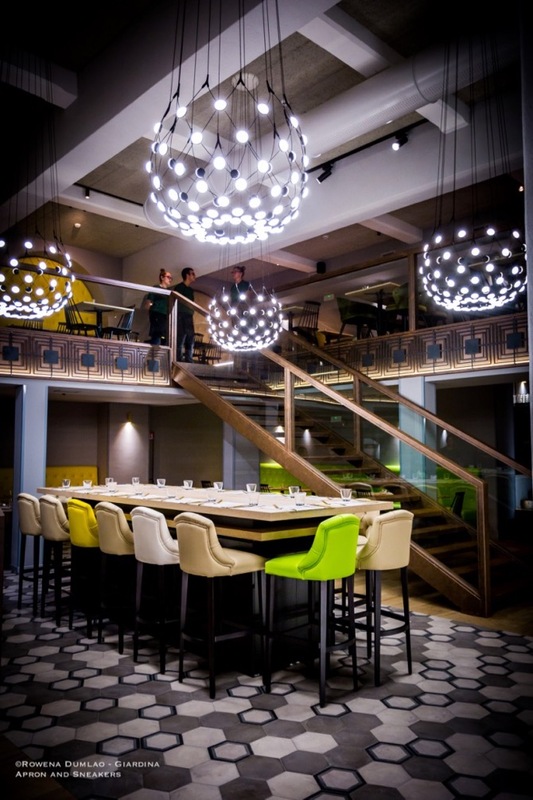 Mauro and Lorenzo gave their two-storey restaurant a breath of fresh air as they went for a glamorous makeover from the menu to the overall design of Suburra 1930. 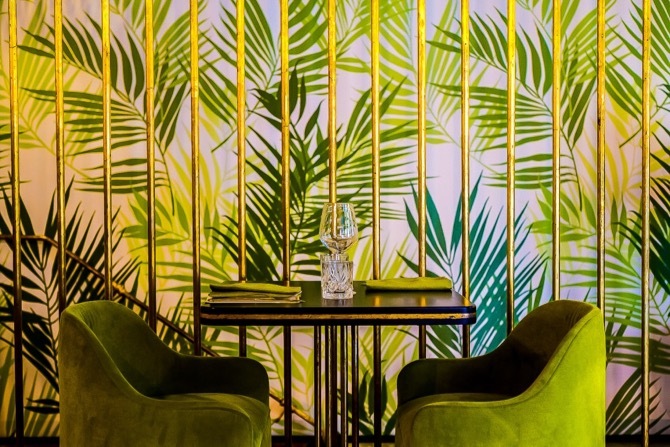 The dominating color of lime green compliments the dark 1930s-style decor of Suburra 1930 with splashes of monochromatic green palm leaves on the walls, different shades of marble and inserts of gold. 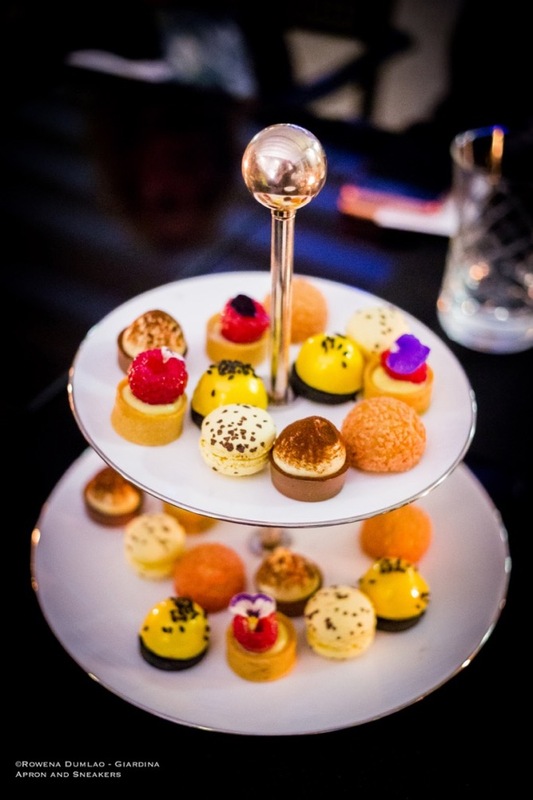 On the ground floor, there is an open kitchen on one end where Chef Alessandro Miotto creates his delectable dishes while the cocktail bar on the other end completes the look where the bartenders stir and shake their energizing cocktails. During the warmer days, an aperitif outdoors is one of the best ways to witness the Roman life in one of the oldest quarter of the capital. Come in and sit down. A glass of wine, sparkling maybe, carefully selected by Sommelier Sergio Frasca or perhaps an original Martini cocktail, made specially for you by Mixologist Paolo Sanna to mark the beginning of your stay at Pantaleo. When you're ready to eat, let the chef impress you with his Mediterranean-inspired innovative dishes. But first, let me introduce you to Pantaleo. 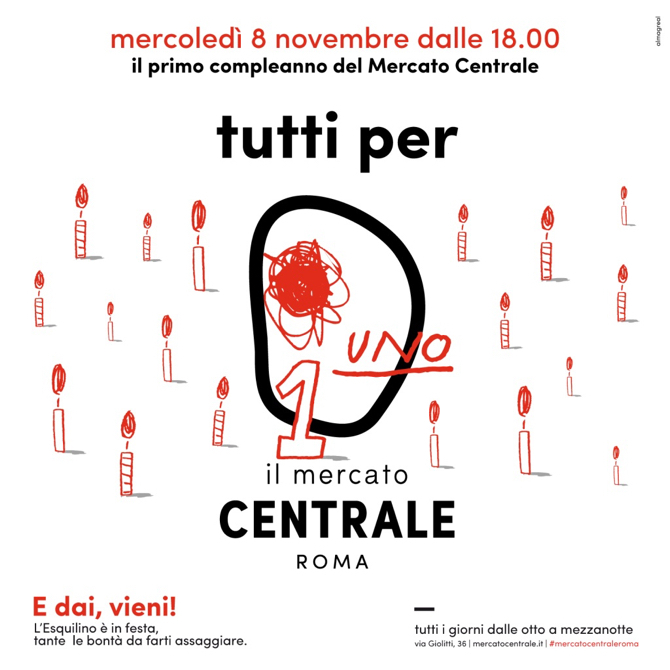 Happy first birthday Mercato Centrale Roma! Time to blow that first candle on the cake on 8 November 2017. It's been a full year since the day Mercato Centrale Roma formally opened its doors and gave everyone the grand surprise. I was one of those attendants at the inauguration who was gazing with awe at the architecture of the place and the collection of known food shops known for their excellence. One thousand nine hundred square meters in all with a 500-seat capacity. There's room for everyone! It was a well-attended event with lots of food and wine flowing around from the 15 shops holding court in the massive market. 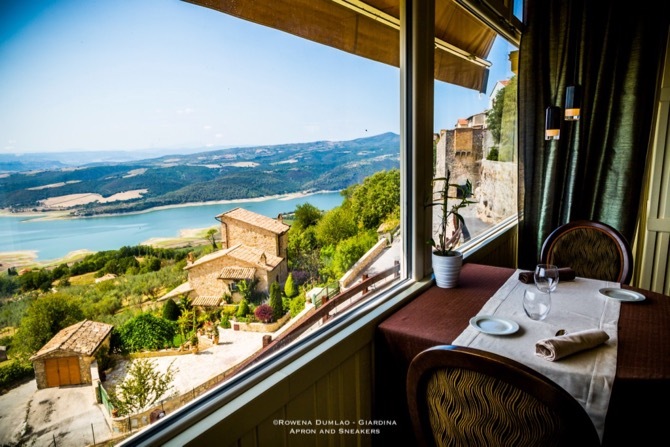 Long overshadowed by Tuscany, its neighboring region, Umbria has a wealth of assets that makes it THE destination. With its proximity to Rome, which is just about a couple of hours drive, I found myself often in the midst of its captivating green picturesque scenery with more frequency. Umbria is landlocked but well endowed with rolling hills of combed vineyards and olive groves. Being ardent about wines, I love coming to this region because the wines, like the scenery, are exceptional. Let's speak about the Sagrantino wine route, La Strada Del Sagrantino. 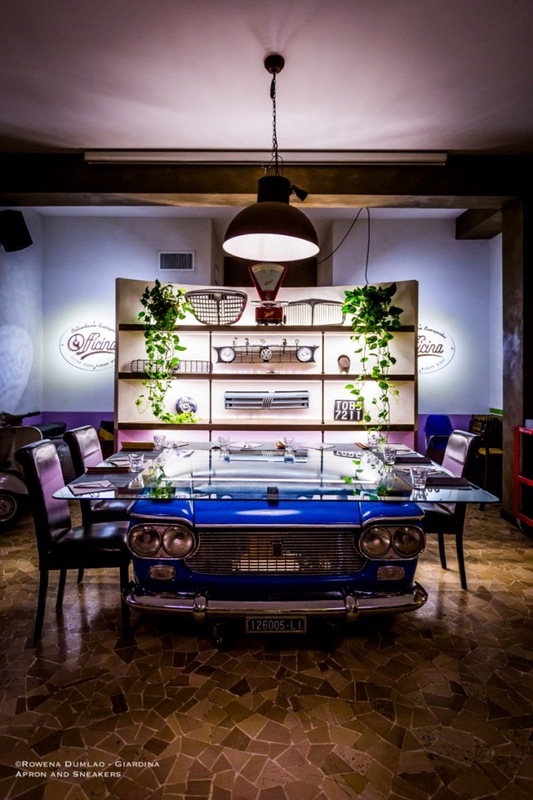 Entering Officina, you won't miss the shiny blue Fiat 1500 vintage car used as a base for a big glass center table. 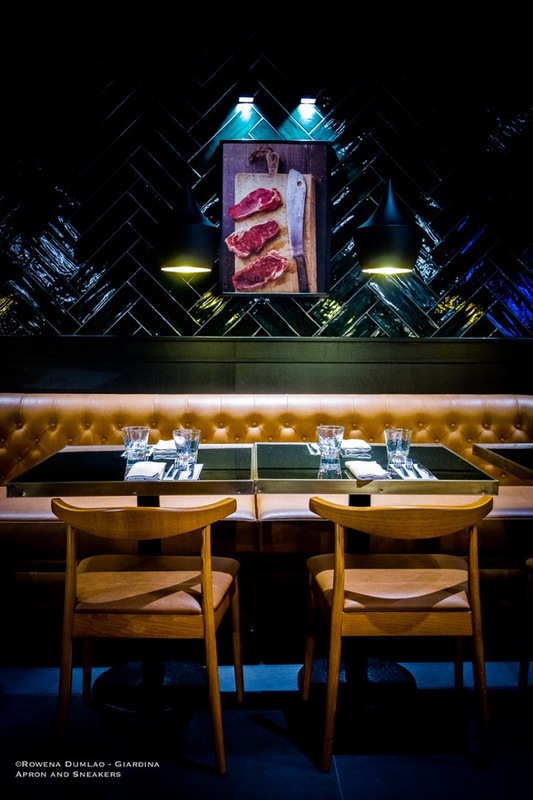 It's a stunning original piece that brothers Alfredo and Mario Arcangeli put together as part of their refurbishment and reformatting of their old pub into a new restaurant and pizzeria. Look around and you will find vintage gas pumps, plate numbers, signs, a Vespa and a shiny red old model of Fiat 500 cut in half and used as a comfortable seat. It's a lovely casual place that represents the brothers' passion in transforming and repairing vintage objects where families and friends get together in a cozy place with good pizzas and burgers. 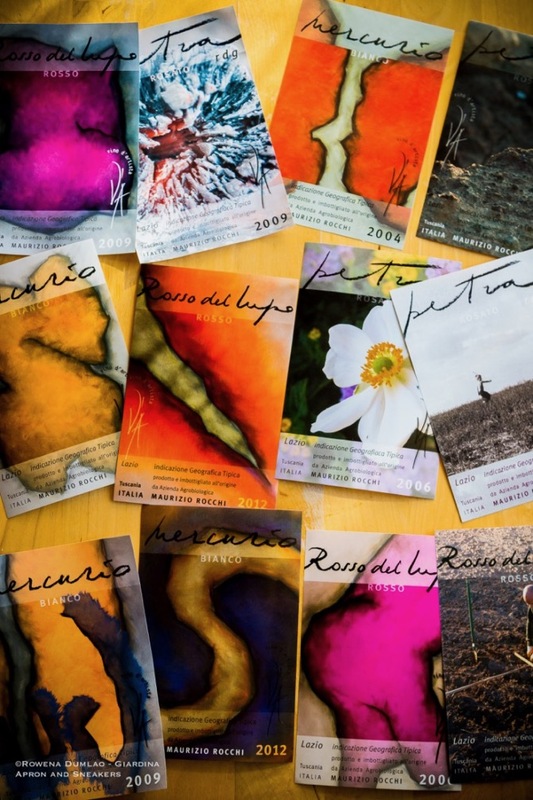 The wines of Cantina Peppucci stem from the yearning of parents to raise their children well in the countryside of Umbria to commune with nature. It was in the late eighties when Piero Peppucci and his wife Luisa Giontella bought the Monastery of Sant'Antimo, an abandoned 13th-century Benedictine monastery in the middle of the countryside of Todi. Years of big work progressed in restoring it to be the ideal place that they can could finally call home. 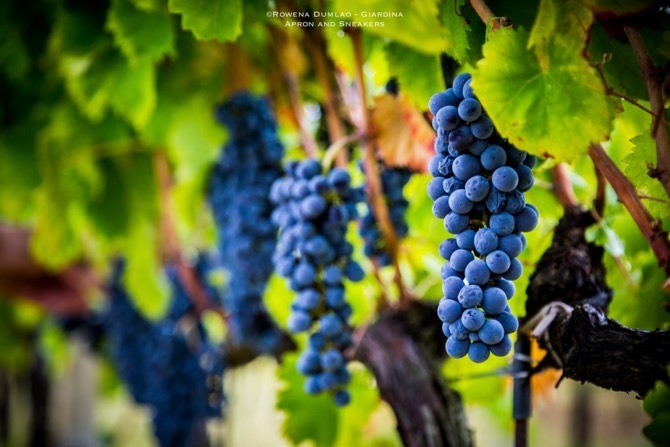 But building didn't stop there because in the year 2000, they started to acquire the land around their house to plant the three native grape vines Grechetto di Todi, Sagrantino and Sangiovese along with international varieties Cabernet Franc, Cabernet Sauvignon and Merlot. Their mission was to produce wine just like the old occupants of the monastery used to do hundreds of years ago. When you choose to eat excellent meat in Rome, there is one place I can direct you to. Beef Bazaar at via Germanico, 136 opened its doors a few weeks ago to share with everyone the international world of high quality beef. 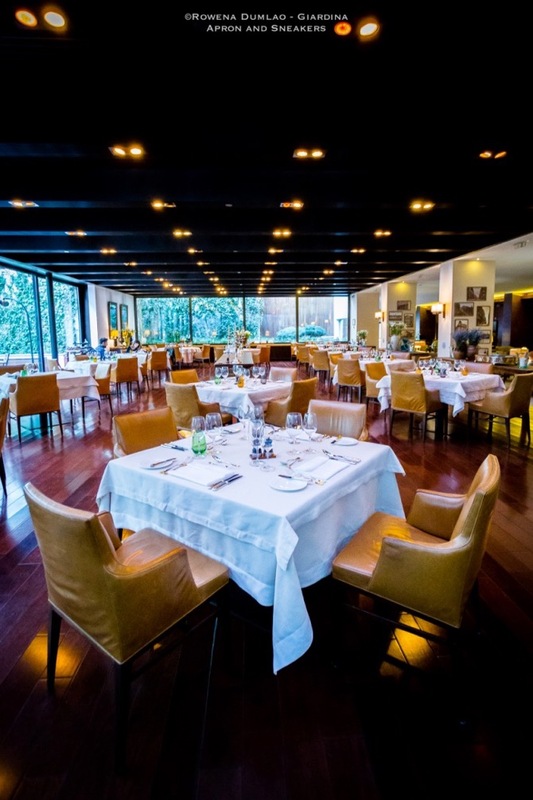 At this immense and elegantly furnished restaurant, you can find optimum beef that are characteristically tender with diverse tastes from Argentina, Australia, Denmark, Poland, U.S.A., Japan and of course, Italy. Choose the kind of meat you want, the cut and cooking you prefer and for the rest, enjoy your dinner. I remember seeing a photo of Gunther Rohregger in Pinterest hunched over a table full of Post-it notes, bottles of wine and a computer while smelling the wine inside a glass. 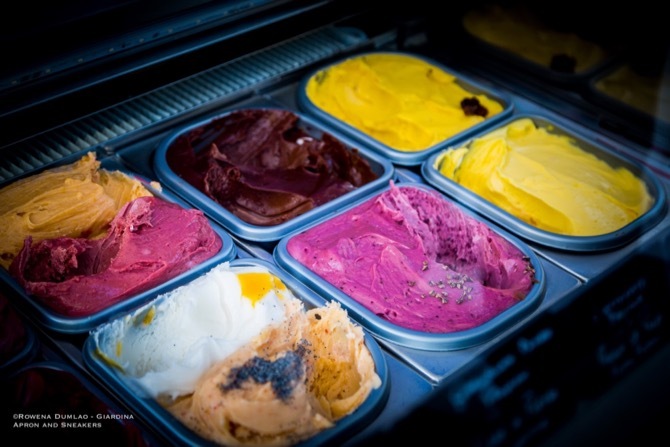 It was captioned that he was working on new gelato flavors using 14 different wines of Vigne di Roma, wine producers from Lazio (Italy) that were to be presented at the Taste of Roma 2017 by MangiaeBevi, a leading Italian enogastronomic guide. My interest was completely drawn to what his creative mind can come up with. His artisan gelato is not new to me. I am familiar with the clean daring flavors that he comes up with like his unforgettable (and not for the fainthearted) Gelato al Sigaro Toscano (Tuscan cigar). Wine and gelato are very interesting flavors to blend and if there's anyone who can pull it off well, it has to be Gunther Gelato Italiano. 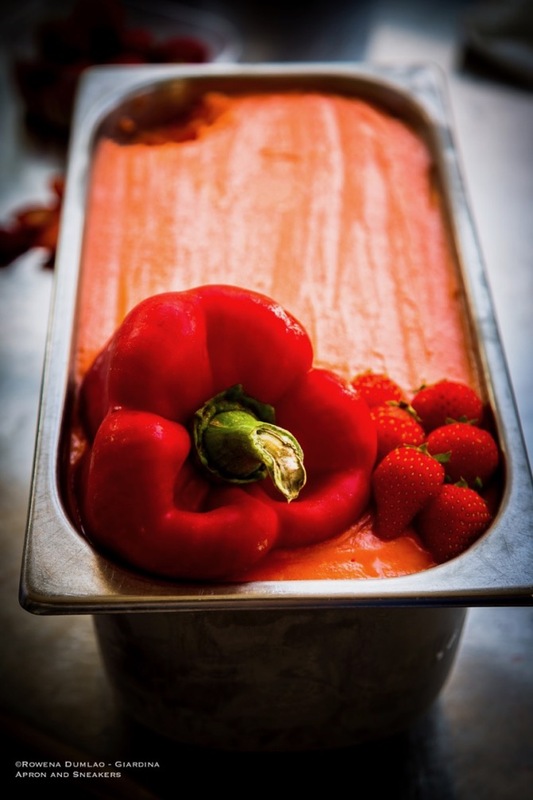 It's called "About...Strawberry and Red Pepper" and it recently won second place in the recent European Gelato Festival in Florence for its simple and frank refreshing flavors of red peppers and strawberries. Imagine a strawberry sorbet with a surprising gentle kick of sweet peppery taste. It doesn't overwhelm the strawberry, rather, its flavor wraps itself around the berry with a very light nuance of sapidity at the end. What else can I say? You have to go to the town of Fiumicino and have yourself a few scoops before the strawberry season ends. Bar Della Darsena has been around for years fronting the port of Fiumicino. It's a bar with a lot of tables and chairs which accommodate locals and tourists. 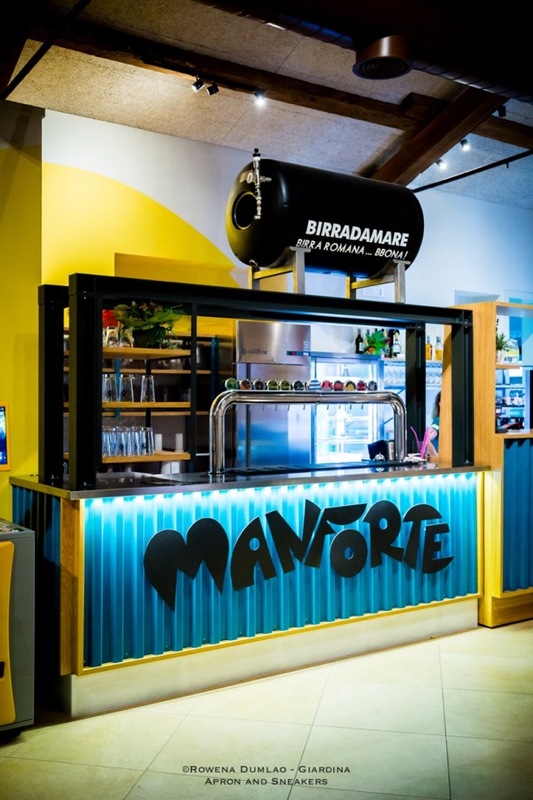 It's a place where people meet to have something like coffee, cocktail, or gelato to cool down in the hot summer days in its big open space. And then gelato maker Vincenzo Lenci came home last May 2017 with great news. He won first place (senior division) in the semi-finals of the Gelato Festival in Rome. Ostia is a large community that's a fraction of Rome sitting near the ancient port of Rome on the Tyrrhenean Sea. It's a place where the sea is the protagonist in everyone's activities whether it's about sports, going to the beach or the most important thing, eating good seafood. Because when there's the sea in front of you, the catch is fresh and bountiful. Simone Curti and Fabrizio Moscara both grew up in the coastal town of Ostia. 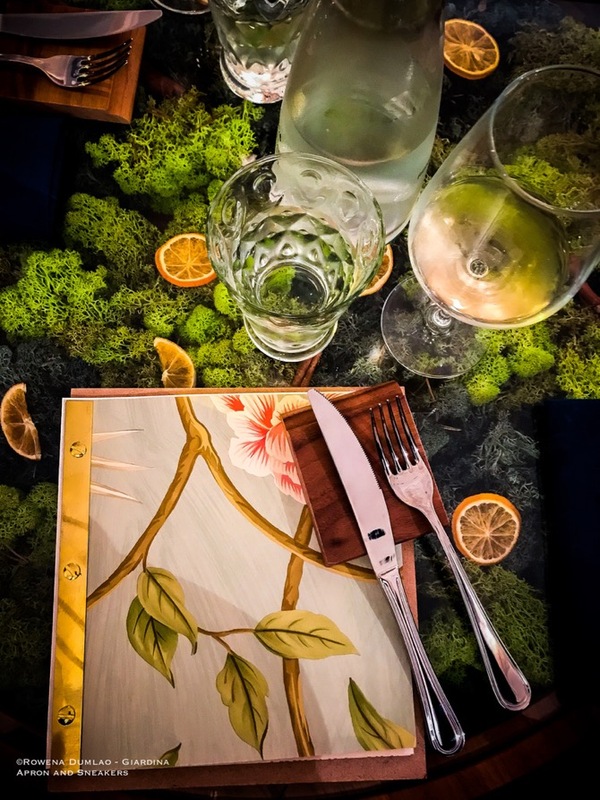 Friends and business partners and with a common love for fishing, they opened their first restaurant in their hometown called Molo Diciassette. We were en route back to Italy from our holiday in Germany and Switzerland at almost lunchtime and my two kids, husband and I made a unanimous decision in the car. We want to make it back to the Italian border by lunchtime for a good Italian meal. What can I say? After being away for just over a week, we were all craving for our much-loved Italian flavors. Our entry point was through Lake Como and with a quick consultation at the internet for a restaurant, I found one located in Albavilla, a small town in the heart of Alta Brianza. When a wine expert friend shares with you the name of the winery that produces his favorite natural wines in Umbria, then it's imperative that you go there yourself and try the wines too. 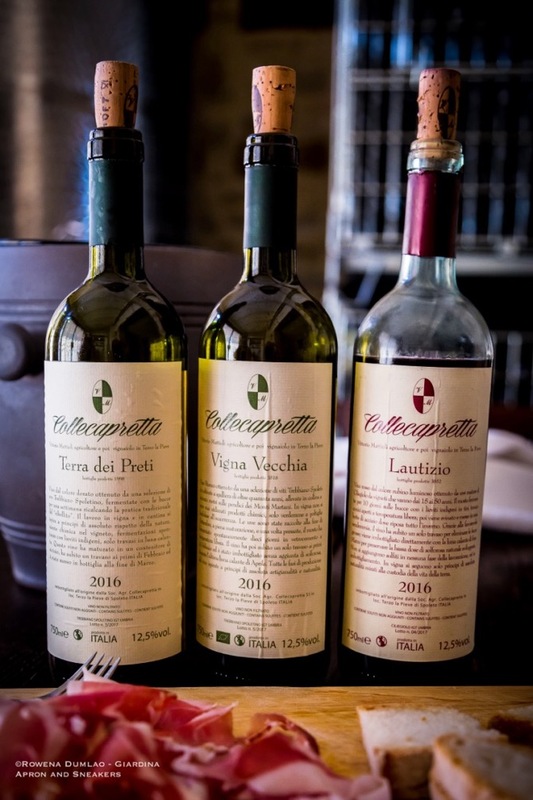 So there I was on the grounds of Collecapreta Winery in Spoleto, precise like a Swiss watch on the appointed time on a Saturday morning, eager for an educational visit in the winery and a tasting of the wines that impressed a wine expert so much. 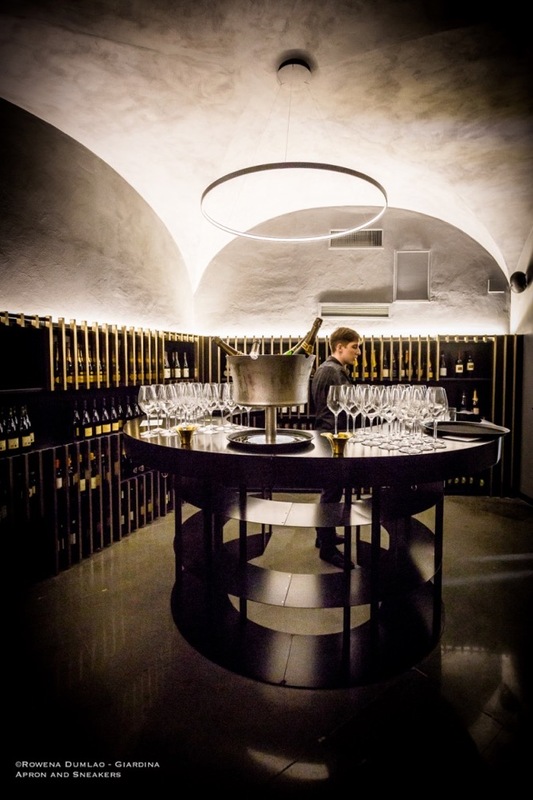 The winery is inside the neat property of the Mattioli family where their house sits next to the two small wineries, the old one and the new one. The average annual production is 15,000 bottles divided into 11 kinds of wines and with vineyards totaling to 5 hectares. Drinking the wines of Paolo Bea tilts a lot of things that I learned about wines from my wine classes. To get to know their natural wines, you will just have to leave your bag of knowledge and thoughts outside the door and close it behind you. The best thing to do is enter with a fresh mind, to easily perceive the diverse philosophy of wine making of Paolo Bea and his sons, Giampiero and Giuseppe. 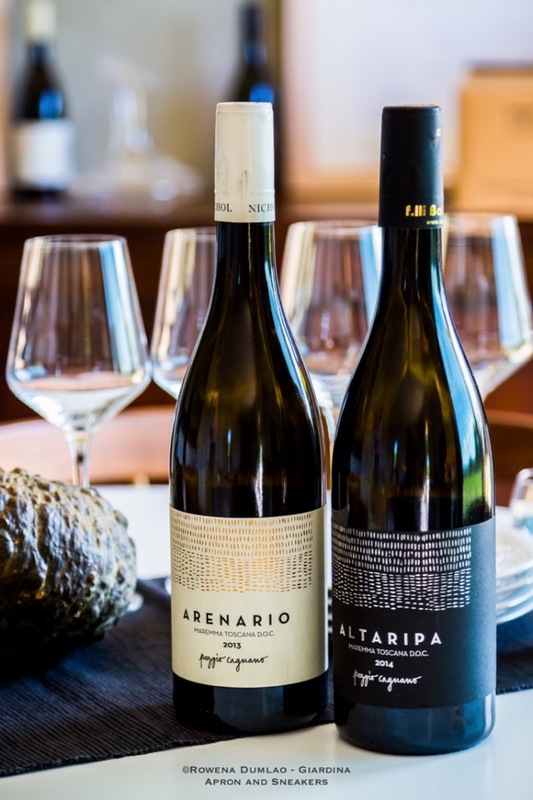 Their wines are considered among the best with innumerable commendations, especially internationally where they export 80% of their production to some countries in Asia, North & South America and Europe while the remaining 20% remains in Italy. So when I went there myself for a visit, I was prepared to enter the curious world of Paolo Bea Winery. 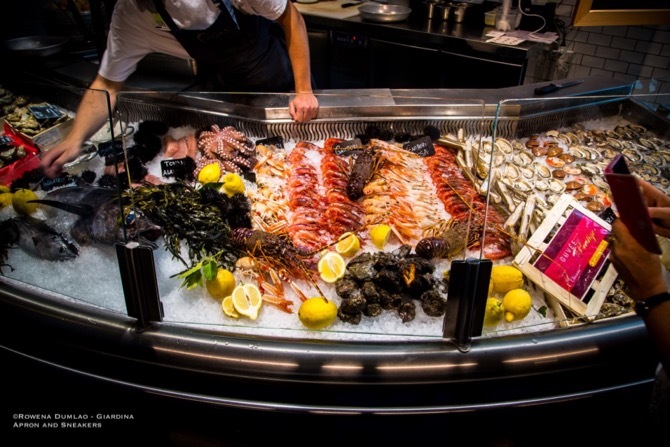 Il Crudo Secondo Eataly: Il Nuovo Concetto del Pesce Crudo all'Italiana (Raw Fish According to Eataly: The New Concept of Raw Fish the Italian Way). Raw fish is not just simply buying fresh fish, cutting it up and mixing it with acidic agents and other condiments to make it taste good. There is something more that we need to know before the catch and when the fish ends up on our table. 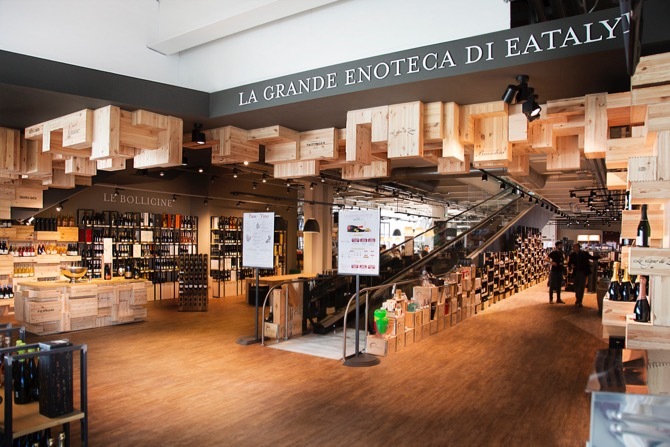 For this reason, Eataly Rome has started a new initiative to approach the subject for us consumers. 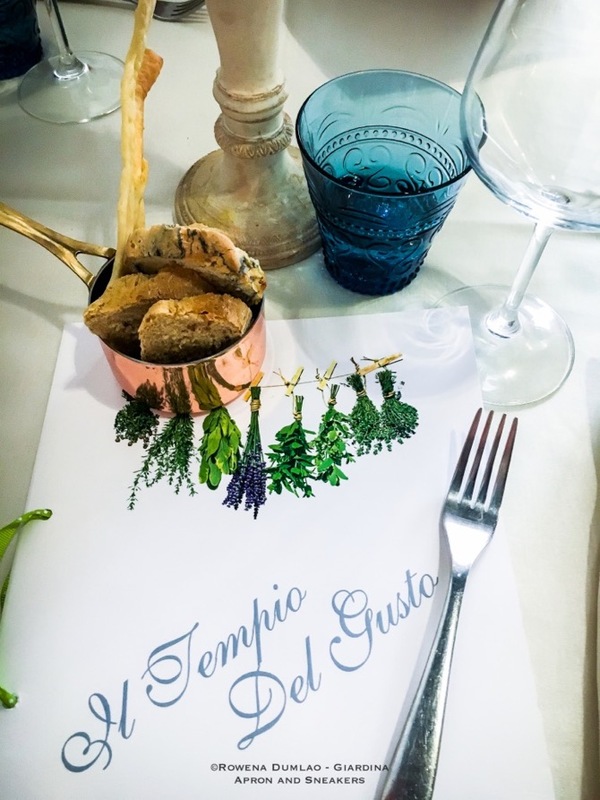 The guiding values of this approach is the sustainability, healthiness and taste based on the Mediterranean culture. Upon entry to the cobblestone roads of Eguisheim, nothing else existed between me, my camera and my subject - the whole town. 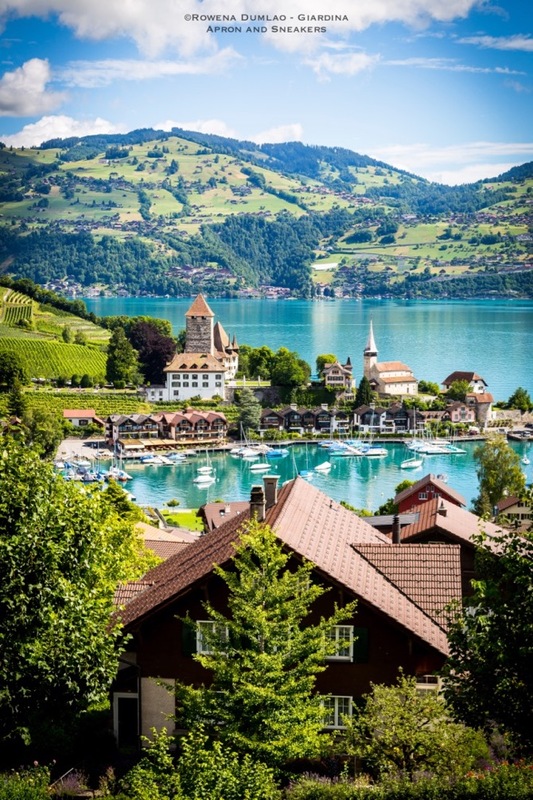 It's a small place with immaculate tidiness that's dressed impeccably with multicolored summer blooms while the brightly colored traditional medieval half-timbered houses stood attractively on both sides of the road. I didn't know where to start photographing because every single detail is eye candy. I was just passing through that morning from where I was staying in Freiburg, Germany and a lunch booking at L'Atelier du Peintre in Colmar (Alsace), France. I wish I had more time. There's always something to toast about. 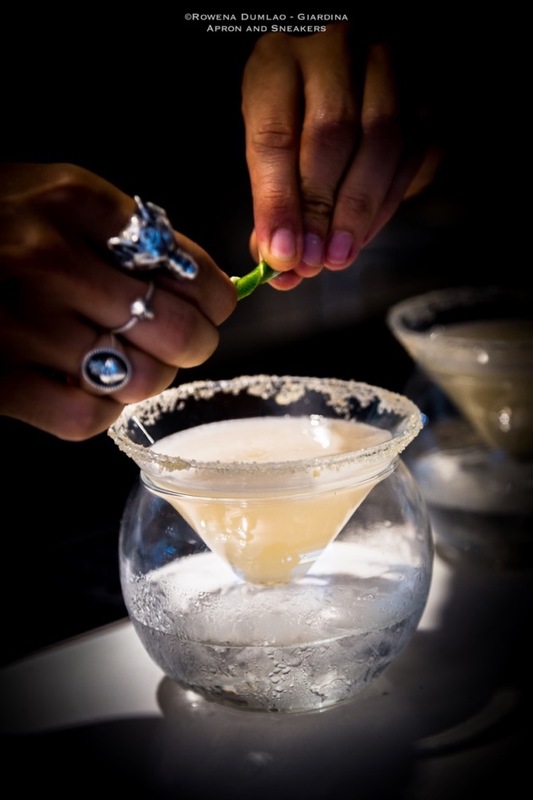 For our health, life, accomplishments, relationships, changing of seasons - I can go on and on but true to our fun-loving nature, when we cup a cold glass of cocktails around our hands, we yield to the feeling of clinking our glasses to salute a good reason. Cocktail hour is probably one of the sought after time of the day when the men can loosen their ties and the women can let their hair down. Tired or not after a long day, it's the best moment of the day isn't it? It was for that very reason why I closed my computer, bid my work goodbye for the day and drove off to EUR in Rome to catch the early evening Fish & Cocktails at Ristorante Livello 1. On the days I was in Freiburg at the beginning of summer, the heat was uncomfortably intense. Waiting for the sun to go down for the temperature to decrease a few degrees, I took on the lovely streets of Freiburg before my dinner reservation. It's a beautiful city at the edge of the Black Forest that is lined with peculiar water-filled runnels called bächle all along the cobblestone streets in the old city center. A little bit of research tells me that these bächle were built in the 14th-century to provide water coming from the Dreisam River to fight fires, to feed the livestock and to help cool down the city in summer. 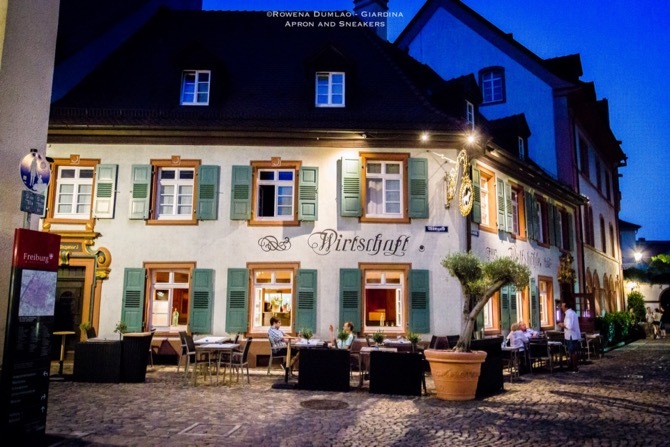 When in Freiburg, the best thing to do is what all the locals do. Look for your space in the bächle (they can get crowded with fun-loving people), take off your shoes, sit down on the street, dip your drinks in the bächle and enjoy - the Freiburg way! 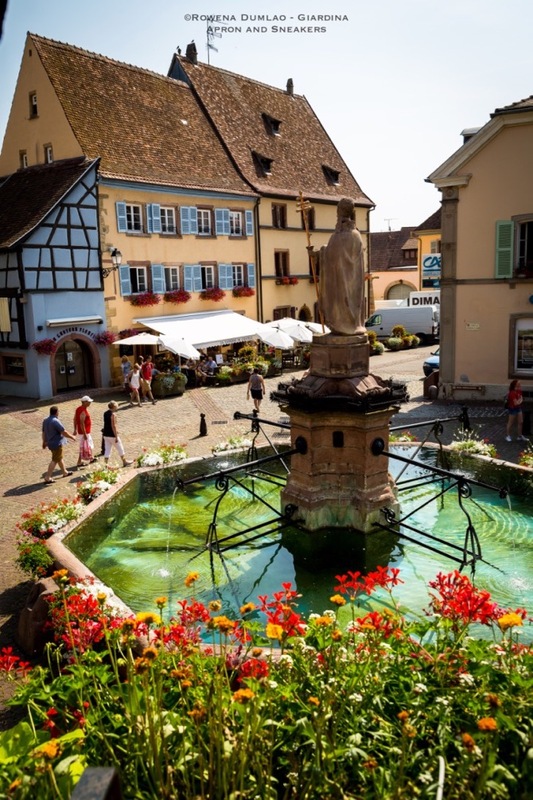 Entering the town of Colmar is like opening a book of a fairy tales. The intensely colorful half-timbered houses line the cobblestone streets while the well-tended flower boxes filled with gaily-colored flowers give the final touch of perfection. It's alive with architecture, art and history that dates back to the time it was first written in a book in the 9th century. At the main square, it has a stately 14th-century Dominican church that was reconstructed centuries later in Baroque architecture. There are some places that are hard to forget even after a number of years because the fond memories keep on rolling back. Ristorante Vescovado had that effect on me. During a press tour four years ago, I remembered how well-received we were, how one of the chefs of the restaurant pounded on her mortar and pestle tirelessly as she showed us how to properly make the genuine Ligurian pesto from scratch. I also remember how distractedly beautiful the view was from the veranda of the restaurant. 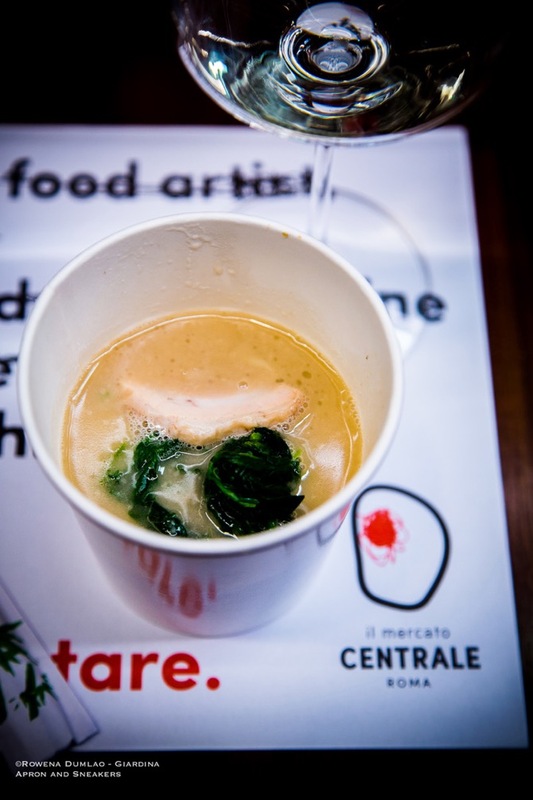 And most of all, how delicious the food was, prepared with fresh Ligurian ingredients and paired perfectly with local wines. That was Ristorante Vescovado for me four years ago. 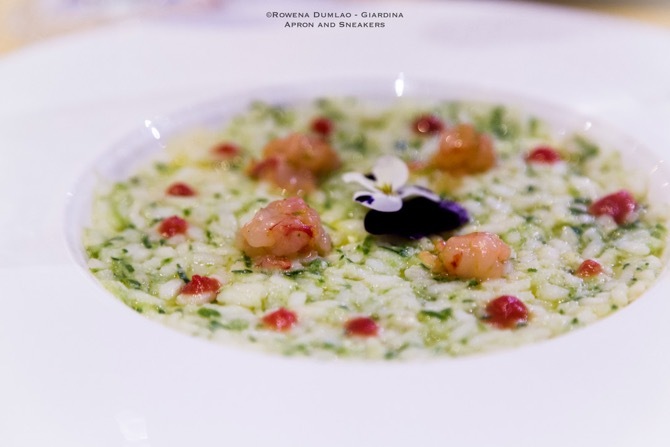 Last month, I went back to retrace my footsteps and reconfirm the excellence of the food of Chef Giuseppe Ricchebuono. 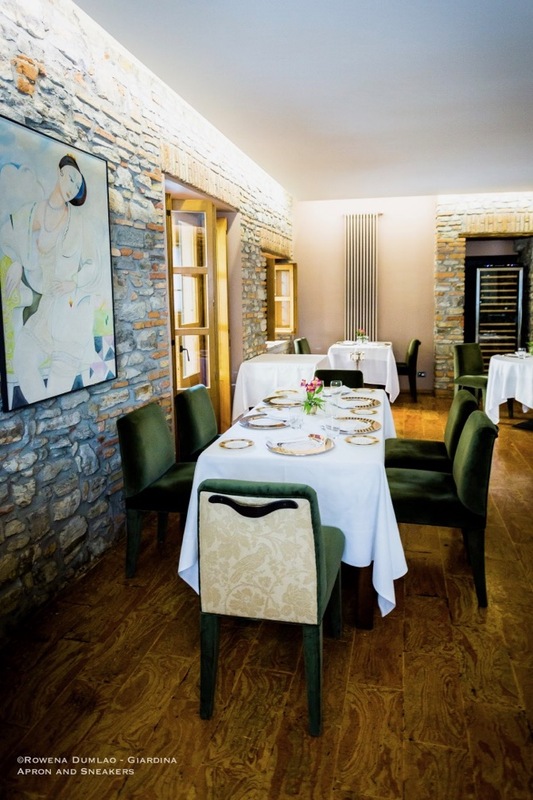 When the gates of Relais La Tenuta Del Gallo closed behind me, I swore that I would go back. My lunch there was not enough to completely appreciate the whole place. 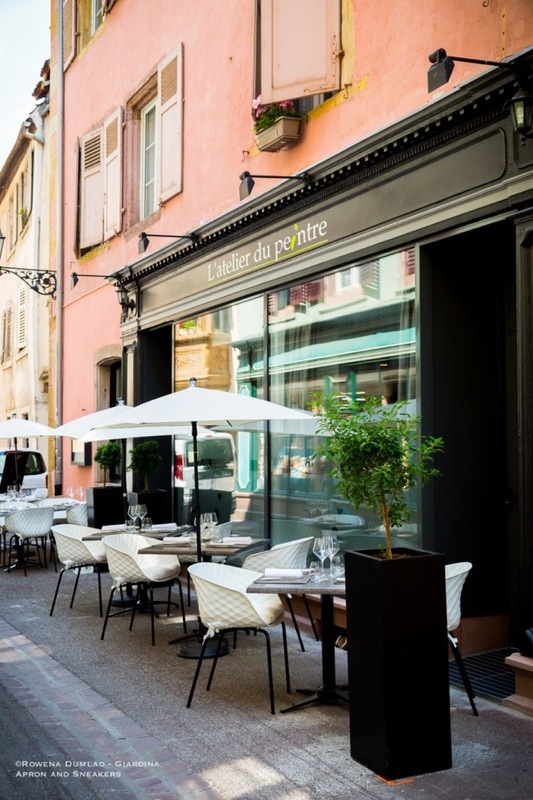 I was just passing through for lunch after I discovered it in the restaurant list of the Michelin Guide for Amelia. The relais is a little paradise tucked in the middle of the countryside a few kilometers outside the walled town of Amelia. 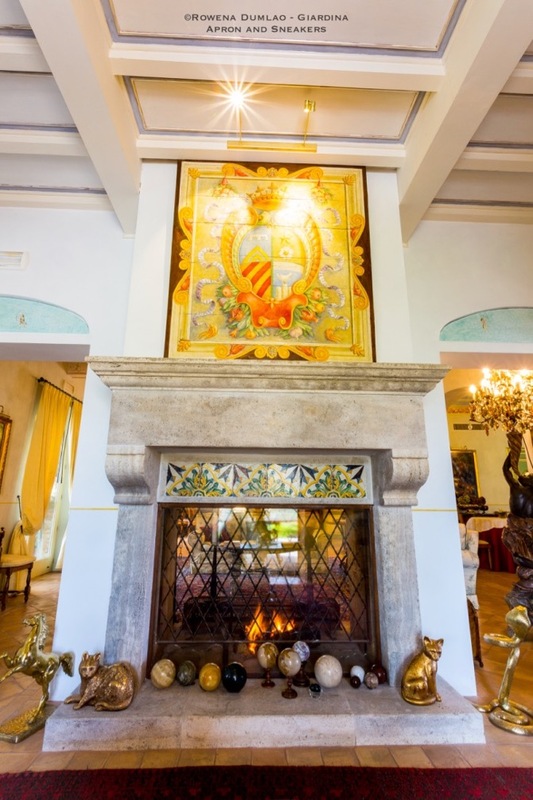 The villa was originally built in the 17th-century and set on a sprawling area of 1,000 square meters of gardens, fields and walking paths with an incredible unobstructed view of the beautiful landscape of Umbria. It was enchanting! 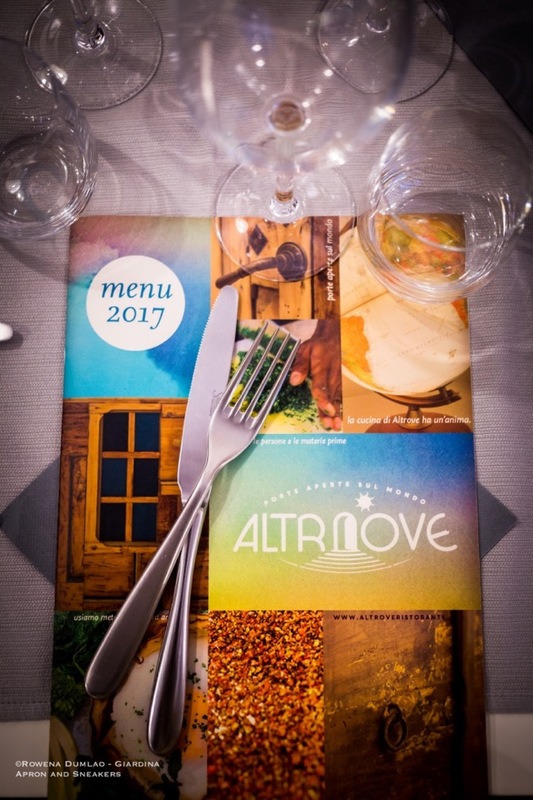 Altrove Ristorante: Porte Aperte sul Mondo (Open Doors to the World). Altrove's slogan says it all. Their doors are open to the whole world, to all nationalities, without knowing any boundaries. The only thing they recognize inside is the determination of the young people to reach out for their dreams and with their help, attain them and guide them in success of the paths that they choose to walk on. 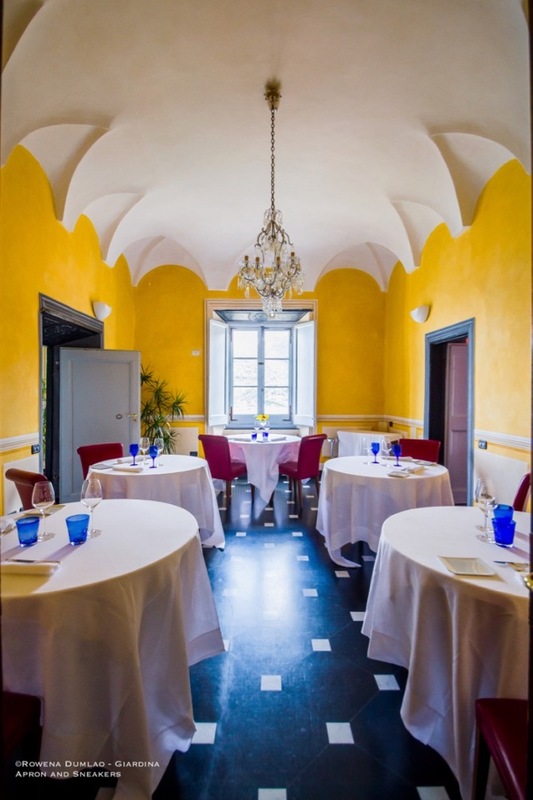 Altrove is a restaurant but it is also a training ground for young people who come to Italy from different countries and aid them in their gastronomic road to success, be it as sous chefs, sous pastry chefs or waiting staff.